Golden Slipper Gems - Times Publishing Newspapers, Inc.
Golden Slipper Gems is a brand new non-profit in Bucks County which seeks to bring high quality lifelong learning to older adults interested in making new connections and actively learning by offering daytime classes. Gems seeks to inspire older adults to live independently and engaged as they envision a society where every older adult is honored as a valuable and treasured asset. Golden Slipper Gems will begin their exciting Early Spring Semester March 7th. Headquartered at Shir Ami in Newtown, this program is open to the entire Bucks County community and offers you the ability to choose from four courses which take place on Mondays and Thursdays over a six-week period. *THURSDAY’S BEGINNING MARCH 4th: A wonderful course entitled All About Antiques begins at 10:00am, and will be taught by three experts in various antique specialties including clocks, watches, silver and more. The course will conduct a mini Antiques Roadshow during the last class where you may bring one or two of your own antiques to have it appraised by the experts. Following the Antique’s class you also won’t want to miss a fascinating course taught by Glen Maxson, which begins at 11:15am. You can learn all about Trends in Technology. This “Tech Talk” series focuses on robotics, surveillance, cryptocurrency, cybercrime and autonomous vehicles. There is so much to learn about and keep up with in todays’ tech world. *MONDAY’S BEGINNING MARCH 7th: A Traditional Tai Chi course taught by Robert Langley will begin at 10:00am. You can learn anew or continue your practice. Tai Chi is believed to improve balance and therefore help reduce falls. It’s also a great way to meet and interact with new and old friends. Then at 11:15am, there’s a special class taught by Deborah Baer Mozes. 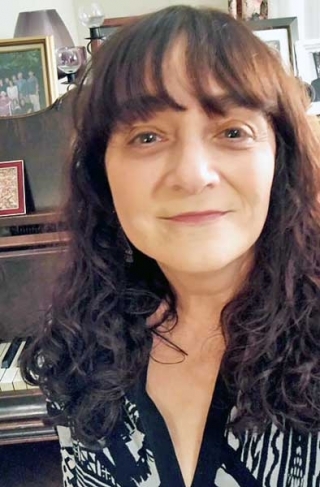 Deborah is the Founding Artistic Director of Theatre Ariel which is Pennsylvania’s only professional theatre group dedicated to creating and producing work that illuminates the social, cultural and spiritual heritage of the Jewish people. For those who choose, this interactive class also offers the opportunity to read aloud from scripts and to discuss various plays. For more information on the Early Spring Semester or to request a program guide, please contact Debbie Rose at 267-984-0722 or at drose@goldenslipper.org. To view classes online, visit GoldenSlipperGems.org where you can also register and pay via credit card. PHOTO CAP: Deborah Baer Mozes, Founding Director of Theatre Ariel.